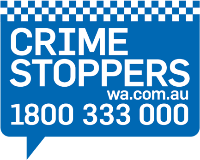 The WA Police Force are responsible for an area of 2.5 million square kilometres, 12500kms of coastline and for all policing and search and rescue in the state that has a population of over two million people. Police Air Wing has two units based in WA with one covering the southern state and the other covering the northern state. Police Air Wing operates the following aircraft: BK117 (B2) Helicopter, AS365N3+ Helicopter, GA8 Airvan and two Pilatus PC12 fixed wing aircraft. The BK117 and AS365N3+ operate Star Safire III and HD FLIR systems, with microwave and 3G downlink capabilities, Avalex Mapping and Skyquest Video Management System, Wulfsberg and Motorola radios, Spectrolab and Trakka Beam search lights and Goodrich 600lb rescue winches. The section is made up of both sworn police officers and unsworn civilians. The majority of staff are sworn police officers although the helicopter pilots, maintenance engineer and administration staff are all unsworn.